Childhood picture books, stories and TV shows that depicted food and dining made a real impression on me. 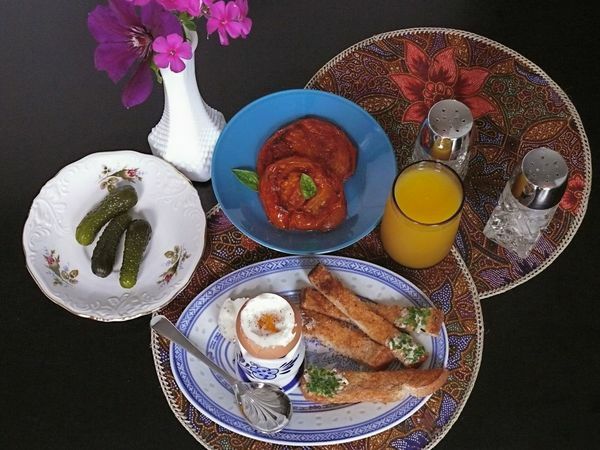 Illustrations of steaming bowls of pasta or a piece of toast smothered in purple jam gave me my first taste of foods I’d yet to try, and are sometimes still the archetypes I hold food up to today. Instead of simply reminisce, I’m going to bring those dishes to life the way I imagined they’d be. 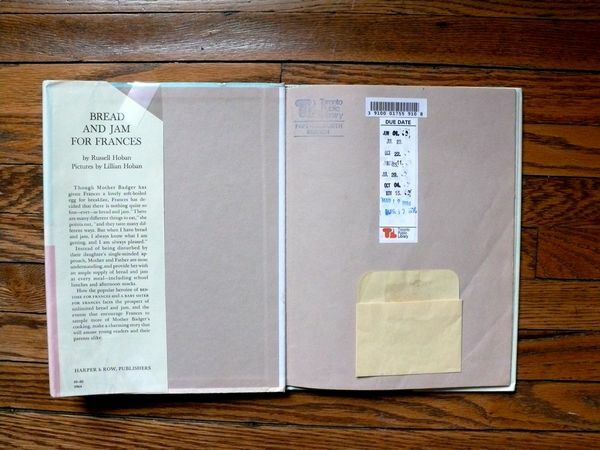 Given the title, you’d think this would be a post about bread and jam. 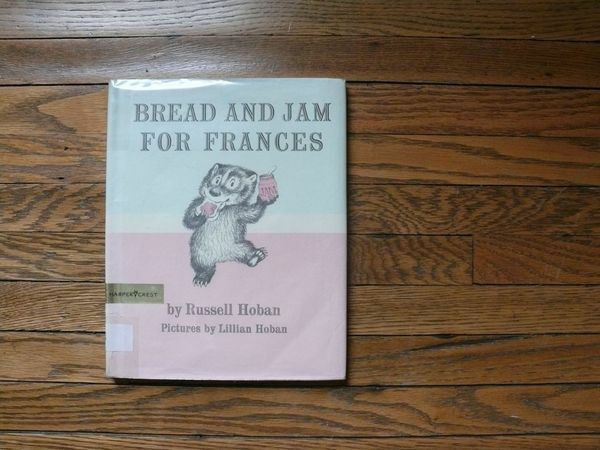 But that’s not the lunch that made the biggest impression on me in the book, Bread and Jam for Frances. Because while Frances started out eating bread and jam almost exclusively, she evolved, and when she did, she really did lunch right. For someone that started out hating eggs so much that she made a little song about her disdain, she sure embraced them later on. And you know who taught Frances how to truely appreciate lunch, nay, the art of eating? Her buddy, Albert. …as well as words like these! 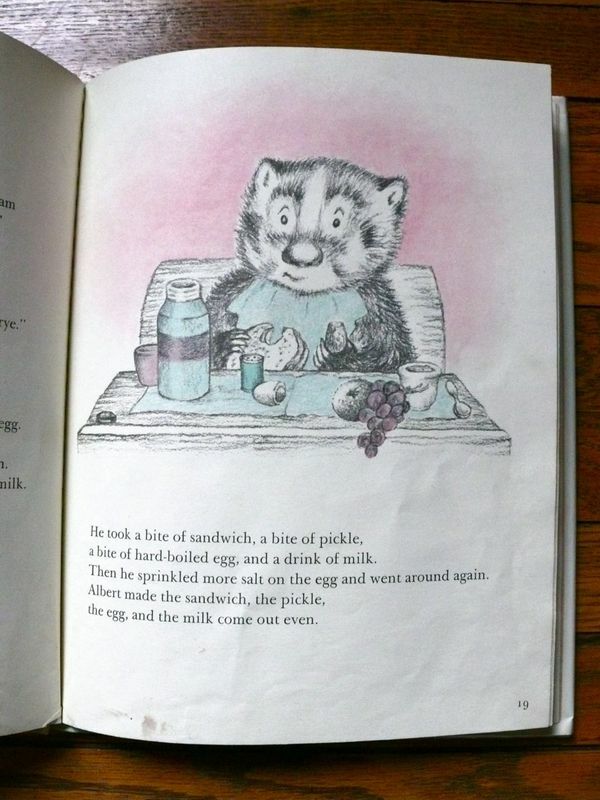 The description of Albert taking a bite of sandwich, egg and pickle in rotation tells of someone taking a moment and totally enjoying their lunch, in relative solitude too. 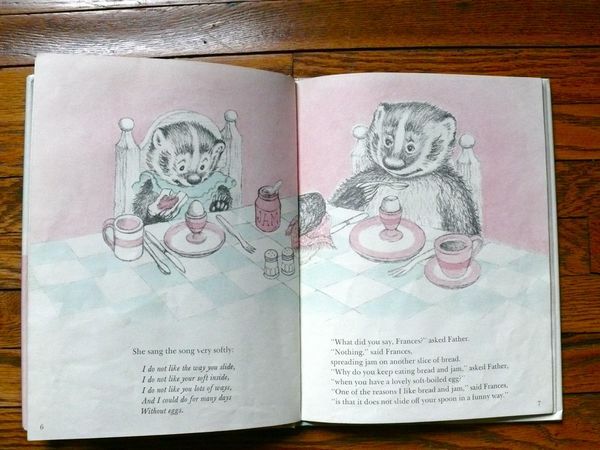 I think I understood the sacredness of this ritual, even when I first read it at age 5 or 6. It probably rang true because I’m sure I ate my food in perfect rotation then. I kind of still do–do you? At the very least, I make it all “come out even” in the end, sad to see any one thing on my plate run out too soon. I’d like to think Frances and Albert would appreciate the lunch I made in homage, pictured at top. Whether at home or another office, I’ve always respected and anticipated my lunch in the same way. This was my favourite book as a kid! I obsessively read it over and over. BTW, will write very soon with the dates I’m in your city! We must go eat together! soft-boiled eggs seemed like a treat when i was young too. not sure why but, like you, i remember a lot of hard-boiled (or 3/4 boiled) eggs growing up. i did too–took it out of the library more times than i can count. i love love love that spread yas. it’s beautiful!